Rapid Keypads can make USB keypads that communicate with computers exactly the same way that computer keyboards, mice and gamepads do. 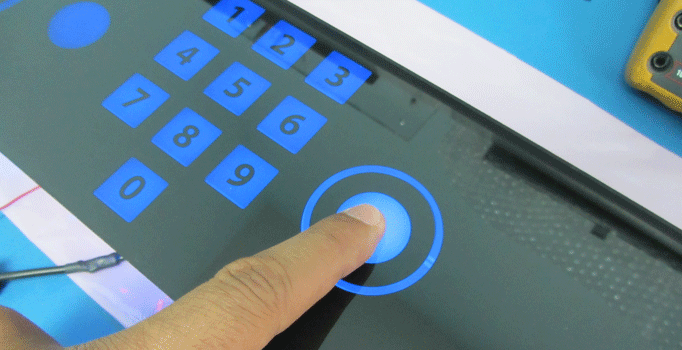 Instead of having a full computer keyboard on your new kiosk, you can have a custom capacitive touch keypad made with only the buttons you need. This will make using the kiosk more intuitive, simplifying the user's experience. 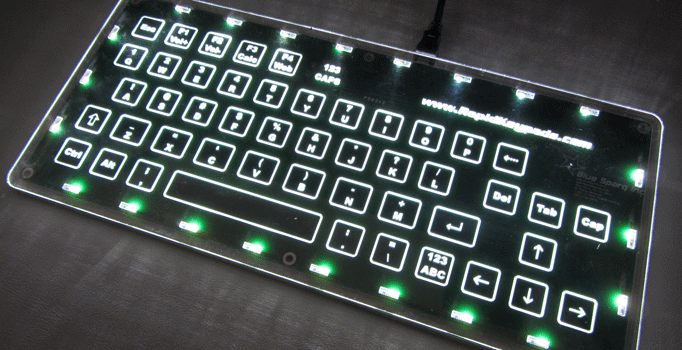 We can design and configure your keypad to communicate using the USB HID. No special driver is required, since the USB HID is already loaded on every PC in order to use the computer keyboard. 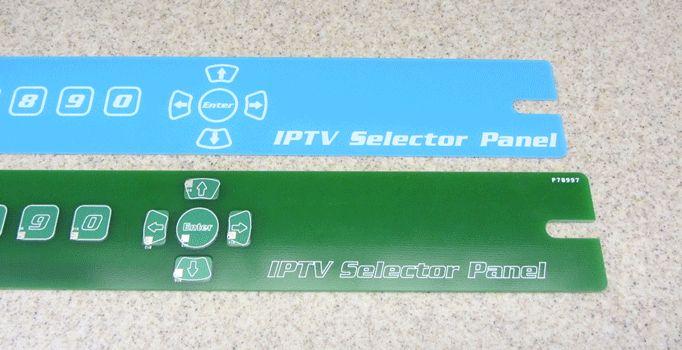 Our off-the-shelf capacitive touch electronics make prototyping USB Keypads very easy! Please visit our online store. Launch applications such as itunes, Windows media player, Calculator, Browser, e-mail program etc. In this configuration our device enumerates itself as a USB COM Port. This means that a windows application can communicate with our device as if it were connected to a serial port of the PC. This allows for bi-directional communication with our keypads. This bi-directional communication can be used to control keypad lighting, RFID Readers, and other functionality. USB Bootloader makes updating Firmware easy! With our USB Bootloader, you can easily update the keypad firmware in the field. 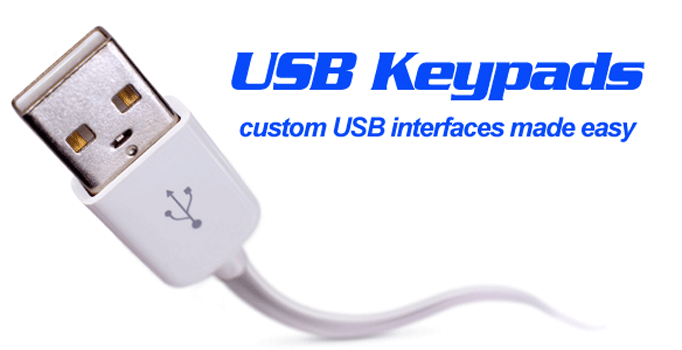 The biggest advantage of using Rapid Keypads to make your custom USB keypads is that we can provide a complete tested unit with touch buttons, graphic overlay, electronics, USB cables, gaskets, custom enclosures etc. This will greatly benefit product developers using single board computers such as PC104, NUC, mini PCs and other embedded computer platforms to develop desktop/bench top, panel and rack mount applications, as well as kiosks in a range of industries such as medical, aerospace, industrial and consumer.